We are told in the last days that false prophets will increase, that deception will be pervasive in the world and IN THE CHURCH. What are the New spirit movements and methods that are consistently springing up and entering the church? 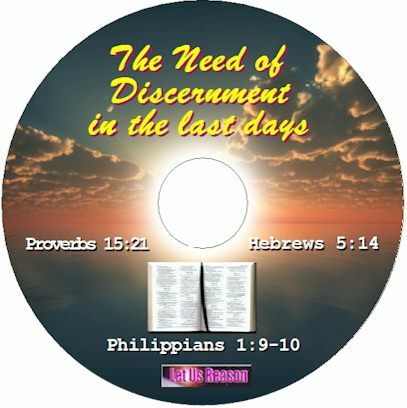 Discernment is the need of the hour for our survival and keeping the faith of Biblical Christianity. In this video we use some of the worst examples to show the dumbing down of the church in discernment, resulting in deceiving the church. We will learn where and from whom this originated in modern times. Revelations that contradict the Bible, new books in heaven, glory services, Dominion goals of the New apostles and prophets, people claiming to go to heaven, prophetic interpretation of tattoos and piercings, new age healing, drunken stupors, becoming frozen and silent. What is passing for revelation and Bible teaching is astounding. We need to understand what is taking place and stand in the faith to be victorious. How do we identify it or refute it? How can we protect ourselves and others. Discernment is a gift that accompanies the Holy Spirit who is our umpire that keeps us awake to distinguish truth from error. The Bible tells us to grow in discernment, so that we can mature and help others who are easily deceived. Being grounded in the core doctrines of the faith and building on them makes one immune to the many deceptions that surround us today, this is what this video series is about.